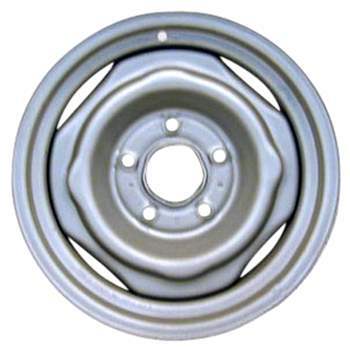 This is a 4 Slot 14x6 Inch, 5x4.75 Bolt Pattern, One Piece Steel Wheel, Rim. The position on the vehicle is Universal. Interchange Number is 1204. Manufacturer Part Number is 9591886; 9591710; 10027002. Identification Stamp Number is KW; RB; RH; RU; TAF; TCA; TCH; TW; TX. Our company is not affliliated with General Motors. All trademarks mentioned herein belong to their respective owners.